According to a statement from the IPG: 'The shortlists for the 13th annual Awards highlight the remarkable diversity and creativity of independent publishing and range far and wide across the sector. They have a total of 39 nominations, and feature 27 different companies and three individuals. 'The lists are a combination of large, long-established publishing names and newer start-ups. No fewer than ten publishers—404 Ink, Atlantic Books, Aurora Metro Books, Cicerone Press, Elliott & Thompson, Muswell Press, Nick Hern Books, Sweet Cherry Publishing, UCLan Publishing and Wonderbly—appear at the Awards for the first time. 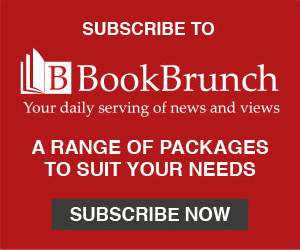 Another five—Bloomsbury Publishing, Class Publishing, Kogan Page, Nosy Crow and SPCK—have two or more places on the shortlists. 'The winners of the 12 Awards will be revealed at a Gala Dinner during the IPG’s Spring Conference on Thursday 2 May 2019. One more Award, for the prestigious title of Ingram Content Group Independent Publisher of the Year, will be chosen from a shortlist made up of the winners of the five Publisher of the Year categories. IPG chief executive Bridget Shine said: "These 12 shortlists are a wonderful illustration of the diversity and ambition that is at play right across independent publishing in the UK at the moment. Our judges have faced an extremely tough job in whittling down a very strong field of entries, and these companies and individuals are truly the best of the best. Our 13th Awards are going to be lucky for some, and we can’t wait to celebrate the success of all these amazing nominees at our Spring Conference in May." The judges of the Awards this yeara are: Ian Bannerman, advisor; Graham Bell, EDItEUR; Chris Benson, Taylor Wessing LLP; John Bond, whitefox; Nick Clee, BookBrunch; Lewis Dawson, Bookspeed; Eela Devani, Copyright Licensing Agency; Elise Dillsworth, Elise Dillsworth Agency; Marzia Ghiselli, Findaway; Gareth Hardy, Blackwell’s; Jo Henry, BookBrunch; Ruth Jones, Ingram Content Group; Hazel Kenyon, Nielsen Book; Stephen Lustig, Eurospan; Sam Missingham, Lounge Books; Steve Potter, Far Corner; Peter Saxton, Waterstones; Simon Skinner, consultant. Atlantic Books is shortlisted after completing a turnaround story in 2018, returning to profit and rejuvenating its fiction and non-fiction publishing. Judges liked its engagement with retailers, its smart work on ebooks and its marketing, publicity and design work in particular. "Atlantic came back with a bang last year,” they said. “It balances commercial and literary fiction so well, and it’s obviously in very good spirits." Bloomsbury Publishing had success across the board in trade publishing in 2018, including in non-fiction with Tom Kerridge and fiction via the launch of its new Raven Books imprint. Judges noted its support of independent bookshops, high production standards and receipt of major awards including the Women’s Prize for Fiction and two Costa categories. "Bloomsbury has a deep knowledge of its markets—both retail and consumer," they said. Elliott & Thompson consolidated a stellar 2017 with another very strong year in the trade. Its small team published only a book a month but achieved an impressive hit rate, generating widespread retail support and publicity and reaching a million copies sold for Tim Marshall’s Prisoners of Geography. "They punch way above their weight and get the publishing basics spot on… they make every single book they publish the best it can be," judges said. Faber & Faber continued its recent revival in 2018, having one of the year’s bestselling books with Sally Rooney’s Normal People and capping it off with the Man Booker Prize for Fiction with Anna Burns’ The Milkman. "Faber is a real turnaround story—they’ve refreshed their list really well and had an amazing year of awards and shortlistings," said the judges. They also admired its various brand spin-offs, like Faber Members, Social and Academy. Bloomsbury Children’s Books excelled across children’s publishing in 2018, finding success in middle-grade fiction and the tricky picture book markets in particular. It broke out some new fiction brands, won a handful of prizes and did well in rights and coeditions. "Bloomsbury has shown that it is so much more than Harry Potter’s publisher… it’s grown well in all areas and does good work on diversity too," said the judges. Nosy Crow, winner of this Award four times in the last seven years, had more remarkable growth in 2018. It achieved stellar international sales and had UK success with well-produced books including I Am the Seed That Grew the Tree. "Nosy Crow never seems to put a foot wrong… to become such a clear publishing brand in such a competitive market so quickly is amazing," judges said. They admired Nosy Crow’s care of its staff, too. Wonderbly is shortlisted at the Independent Publishing Awards for the first time. Judges liked the way its model of personalised publishing set it apart from the competition in the UK children’s sector, as well as its wide international reach, attractive production and high standards of customer service. "This is really clever and differentiated publishing—not just quirky but extremely professional," they said. Bloomsbury Publishing, Academic and Professional Division, winner of this Award in 2013, is shortlisted in its tenth anniversary year after growing sales, acquiring IB Tauris and striking publishing and streaming deals with the British Film Institute and Spotify respectively. Judges also liked the relaunch of its Open Access programme. "Bloomsbury’s smart investment shows how serious it is about its academic and professional publishing," they said. Kogan Page is also shortlisted for a second successive year, after recording sharp growth in print, ebook and rights sales alike. It was a year of launches, including a new consumer trade series, audio content and CPD-accredited online courses—but it worked its backlist hard too, and made its website even better. "Kogan Page has delivered a great uplift in a hard market—it’s done well through all the channels it works in." SAGE Publishing completes the shortlist in a competitive category of the Awards. Judges liked the way it has combined its major resources and international reach with the agility of an independent publisher, its support of students, its growing expertise in software as a service and its response to Open Access developments. "SAGE is going out of its way to find out what its market wants, and reformatting its content accordingly," judges said. Bloomsbury Publishing is shortlisted for the first time in this category of the Awards. Judges liked its focused strategy, subscription model for early years publishing and use of well-known authors to move deeper into the education sector. They also admired the quality of its books, its various awards in 2018 and use of resources from elsewhere in Bloomsbury. "It’s ticking lots of boxes and growing sales in an extremely tough market," they said. Crown House Publishing, like Bloomsbury, continued its sales momentum in an education sector that was challenged by budget cuts in 2018. It looked beyond conventional education publishing to reach new readers, and impressed with the high standards of its production. Judges commented: "Crown House’s commissioning is very strong and its individual titles’ sales are impressive, both in the UK and internationally." Cicerone Press makes the shortlists for the Independent Publishing Awards for the first time in 2019—its 50th anniversary year. It bucked the downward trend in the outdoor guidebook sector, growing sales through a sharp focus on neglected destinations and very close engagement with its readers. "Travel publishing is a really tough market, and Cicerone has done a wonderful job in it," judges said. "It’s got great clarity about its publishing and marketing." Nick Hern Books, like Cicerone Press, is shortlisted at these Awards for the first time. It published a record number of titles in its theatrical niche in 2018, released its first audiobooks, and put on lots of successful promotions and live events to celebrate its 30th year in publishing. "It obviously has some close connections to its readers, authors and partners, and it played to its anniversary very nicely," said the judges. SPCK has won this Award for the last two years, and 2018 continued the remarkable turnaround of the business from near-bankruptcy to thriving religious publisher. Success was built on a strategy of publishing fewer books better, adding much more digital content and rebranding various imprints. "This is a really uplifting story—a great achievement in a challenging market," judges said. 404 Ink, like the other two publishers on this shortlist, is a first-timer at the Independent Publishing Awards. Judges admired the way it had made a splash in books and magazines, creating a strong identity and reputation in less than three years. They applauded its DIY approach to publishing, its personality-driven social media and its refusal to play by publishing rules. "404 Ink seems full of energy and enthusiasm—it’s unashamedly in your face." Muswell Press, which was relaunched by experienced publishers Kate and Sarah Beal in 2016, has already achieved levels of marketing and publicity that would be the envy of much larger companies. Judges liked the Beals’ use of their extensive contacts and their careful financial management as they grow the business. "Kate and Sarah are real go-getters with bags of energy, and they’re putting their hearts and souls into Muswell Press," they said. UCLan Publishing has quickly established itself with an innovative approach to publishing, drawing on resources of the University of Central Lancashire while publishing with great independence across children’s, fiction and non-fiction. Its experienced team have already published some big names, and worked hard on diversity of output. "There’s a distinct difference to UCLan’s approach—a disruptive spirit and an infectious enthusiasm," said the judges. Jolly Learning was the first winner of the International Achievement Award back in 2007, and it had one of its best years yet in global markets in 2018. Its small team achieved notable success in Mexico, building links with schools, distributors and government officials. Judges also liked Jolly Learning’s commitment to literacy as well as sales. "It has a very strategic approach to new markets—it knows where it wants to be and gets there," said the judges. Kogan Page had a very strong year across print exports, rights and international digital sales in 2018. There was particularly sharp growth in the US, where the company secured some major academic adoptions, and online digital sales—now direct to readers as well as through intermediaries—rose too. "Kogan Page is doing so well in some difficult markets, and the confident move into the US shows their ambition," said the judges. Nosy Crow has won this Award three times since 2013, and it had another remarkable year of international growth in 2018. It brought export sales in house, saw sales rocket in Asia and the US in particular, and travelled thousands of miles to meet partners. "It’s really, really hard to do what Nosy Crow has done," judges said. "They are relentless—they never rest on their laurels and they constantly turn up new sales opportunities around the world." Sweet Cherry Publishing is shortlisted at these Awards for the first time, having made a major international impact in 2018. It signed new distribution deals in big markets including the US and Canada and massively increased exports—all achieved on a small team. Judges especially admired their energy and standards of service. "It was the first year Sweet Cherry went strategically after international markets, and they’ve made a big impact." Bloomsbury Publishing is shortlisted for its Bloomsbury Digital Resources division, which combines the company’s tech know-how with the mindset of a start-up. It is becoming a substantial publishing services provider, launching new partnership platforms and signing agency deals with fellow independent publishers in 2018. "It’s everything that innovative digital publishing should be—leagues ahead of most big trade publishers," said the judges. Class Publishing was the joint winner of this Award alongside Bloomsbury last year, and it is shortlisted again for its new JRCALC Plus app, which provides crucial information for professionals across the ambulance service. Class has ensured that the app is very user focused and right up to date. "Class builds on its digital content very well year on year... it remains a very impressive and ambitious publisher," said the judges. Search Press is shortlisted for the success of its Half Yard Sewing Club, a subscription website providing support, videos and projects for sewing enthusiasts. As well as promoting print content, the site has become profitable in a sector with no shortage of free resources. Judges said: "This is a great example of how traditional publishers can turn the business upside down and develop great digital products without compromising commercial principles." SPCK joins the shortlist after making a step change in its approach to digital publishing in 2018. It launched an app with the Archbishop of Canterbury’s team, another to provide free ebooks to those training to become priests, and started a new podcast, while also improving its CRM and direct sales. "These digital advances haven’t just happened—they’re the result of proper strategy," judges said. "There’s a great synergy between the traditional and innovative." Nosy Crow had another superb year of marketing in 2018, when its focus was on retailers including Waterstones, Amazon and independents. It built brand recognition in schools and libraries too, organised many successful author events, and refined its digital marketing via Instagram, YouTube and other platforms. "It’s hugely impressive—strategically thought out and really well executed. It’s a 101 of how to run marketing campaigns," said the judges. Pluto Press took advantage of a year of intense political debate, using many different marketing channels to connect its radical books to readers. It significantly grew its podcast and social media audiences, targeted its loyal readers with incentives and was creative with merchandise. Judges commented: "Pluto Press really understands the direct to consumer channel, and its marketing is clearly adding value to its content as well as selling it." Walker Books is shortlisted for its work on Jessica Love’s picture book Julian is a Mermaid. Its creative marketing overcame the challenge of a debut title and minimal budget by targeting retailers, journalists, bloggers and popular social media networks, and the campaign did important work for diversity as well as driving sales. "This was very successful influencer marketing—small budget but high impact," noted the judges. Aurora Metro Books makes the Independent Publishing Awards for the first time in 2019, its 30th anniversary year. It has built very diverse lists of authors from more than 20 countries over those three decades, and been a passionate supporter of translated fiction. Judges said: "Aurora Metro does an awful lot of good publishing on small resources—it was banging the drum for diversity long before others took an interest." Carcanet Press, last year’s winner of this Award, is shortlisted again as it prepares to celebrate 50 years of publishing in 2019. Its wide-ranging poetry list including work by authors from more than 50 countries, and gives expression to many voices that would not otherwise be heard. "Carcanet is a consistently diverse and brave publisher, year in and year out," said the judges. "Even fifty years on it has a restless desire to do more." Zed Books demonstrated its passion for diversity in all its forms in 2018. Its whole list has been built on a desire to promote marginalised voices, and its internationally minded publishing came to the fore during political debate last year. In house it reaffirmed its commitment to a collective model of business, a non-hierarchical structure and equality of pay. As judges put it: "Zed Books talks the talk on diversity, but it walks the walk as well." Ola Gotkowska of Nosy Crow has been shortlisted for this Award four times previously—testament to her enormous financial contribution to her publisher as rights manager. In 2018 she was diagnosed with Motor Neurone Disease, and, in a new role of contracts manager, has been an inspiration to colleagues and friends around the world of publishing. "She has been right at the heart of Nosy Crow’s incredible growth," said the judges. Gemma Butler of How2Become has progressed rapidly from an assistant books packer to become a vital part of the business. She has made major contributions to How2Become’s multi-media approach to sales and marketing, including its popular YouTube channel and audio. Judges said: "Gemma has had a big impact on her business. Publishing can be quite elite, so for her to come in this way and rise so quickly is very impressive." Zeshan Qureshi of Zeshan Qureshi Ltd has broken into medical publishing with an innovative ‘Flipped Publishing’ model that puts students at the heart of content creation, marketing and distribution. As well as being picked up by UK medical schools, his books are growing in popularity internationally. "This is really audacious publishing, full of drive and determination," judges said. "He’s not just building a great business—he’s changing the face of medical training." BooksoniX has provided a vital publishing solution for many independent publishers, helping them to optimise and disseminate their metadata to help their content get discovered in a crowded market. As well as increasing their sales, IPG members hugely value BooksoniX’s technical support and advice. "BooksoniX are an indispensible part of our business—to know that this aspect of our business is in the safest of hands is a great comfort," said one. Inpress has been a highly valued sales partner of many of the UK’s most distinctive independent literary publishers since 2002. Its reps worked tirelessly to increase clients’ exposure and sales last year, adding pastoral care with feedback, guidance about marketing and rights, and conferences. "Being represented by Inpress is like having a steady hand on the rudder in the turbulent seas of independent publishing," said one grateful client. Turnaround Publisher Services is the distributor of countless independent publishers, many of whom have been clients for decades. As well as an efficient distribution service, Turnaround is valued for its proactive and friendly team and willingness to share advice. "They have a constant and continued dedication to independent publishing—supporting voices that might struggle to be heard in an increasingly corporate climate," said one IPG member.